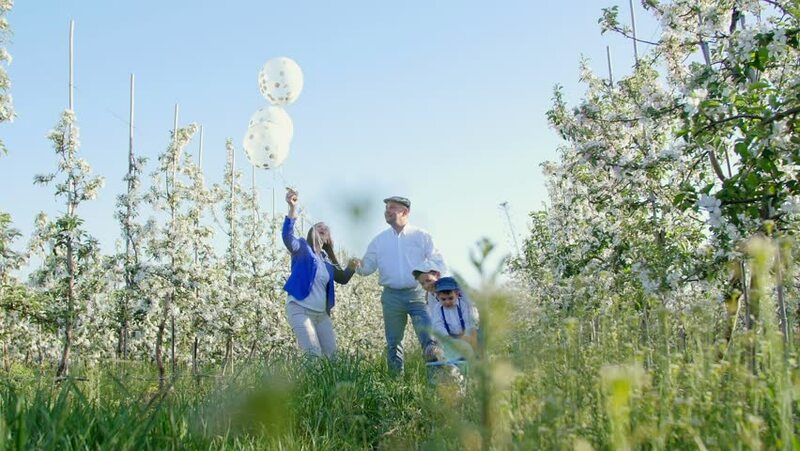 Spring, a flowering apple orchard, a happy young family of four walks in the garden. They are stylishly dressed .They run, jump, laugh, rejoice, have fun. 4k00:10at sunset,a family of four, mother, father, and two of their sons,They are very stylishly dressed,They have a family picnic. Mom holds a family pet, a big rabbit, Family happiness, idyll. 4k00:09Spring, a blooming apple garden, a happy young family of four walks in the garden. They are stylishly dressed in white shirts and blue trousers, blue suspenders and caps. 4k00:08Spring, a flowering apple orchard, two brothers, three and ten years old, are walking in the garden. They are stylishly dressed in white shirts and blue trousers, blue suspenders and caps.